If you have particular questions that require detailed information, please contact us by telephone at 450-641-5876 or email and we will gladly answer your request. What is Nondestructive Immersion Scanner or Immersion Tank? An immersion scanner represents an ultrasonic basin/Tank designed and built to answer specific Nondestructive testing requirements. C-scan and tomography are achieved using robotic scanners by raster scanning a sample and using appropriate ultrasonic transducer probe. 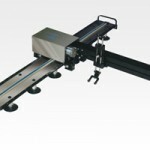 When and where are Non-destructive Ultrasonic Scanners used? 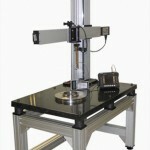 Non-destructive Ultrasonic scanners are used to evaluate metallic and composite material. Such scanners are used in labs and research centers for developing inspection procedures and characterizing the bulk of materials. 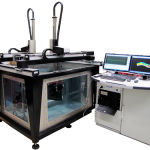 Ultrasonic Scanners can also be used in an industrial manufacturing environment in order to inspect parts being manufactured. When and where are Nondestructive Eddy Current Scanners used? 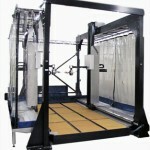 Nondestructive Eddy current scanners are used to inspect the surface of ferromagnetic materials. Surface and subsurface cracks are usually detected with Eddy Current Scanners and used for in-line and manual testing of materials. Why do you use linear amplifiers rather than PWM amplifiers? PWM are very common in the industry and can be made to be small, but they can induce noise due to the way they are designed and operate. Linear amplifiers are quiet and are best suited for ultrasonic measurements. When should I use non-contact Ultrasonic Transducers? Non-contact ultrasonic transducers are used in applications where couplants might be detrimental to the structure or to the environment. When you want to eliminate the uncertainties due to the couplant, elevated temperature, severe environment and/or harsh surface conditions, EMATs or Air-coupled transducers are preferred. Particular applications can be targeted for these types of transducers and can generate a large variety of ultrasonic waveforms. 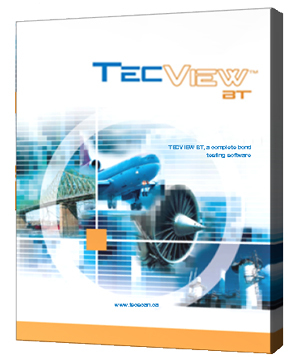 Is TecView™ a Windows application and how many axes can it support? 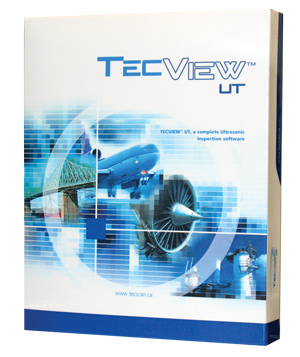 TecView™ is a true 64-bit Windows 7,8 software that is designed for nondestructive ultrasonic and eddy current data acquisition and analysis. 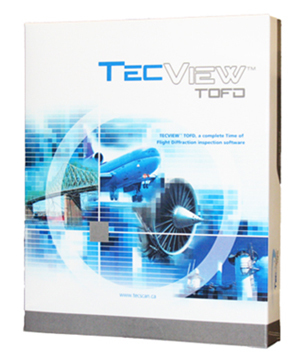 TecView™ combines the best of the Windows virtual operating system and graphical user interface with its own interface features developed specifically for the inspection workplace. The TecView™ software package can support up to 12 computer-controlled axes. Multiplexing is a way of reducing the electronics to control several transducers. An eight channel system could be composed of a digitizer, a pulser/receiver and an 8 channel multiplexer. This reduces the cost, but we now have the disadvantage of having the same control for all transducers (i.e. for example “one gain setting”). A better way of doing this could be to multiplex the output pulse and get eight receivers. There are several variations on this theme, all aimed at reducing the cost of having separate pulsers, receivers and digitizers. What is the advantage of a Gimbal/Gimbal compared to a Gimbal/Swivel? It depends on the geometry of the parts you need to inspect. A G/G will be a G/S in another plane; it is a matter of deciding what the preferential planes are. A swivel plane is useless when you need to calibrate your ultrasound, as it does not affect the strength of your signal. For calibration, you need to work with a gimbal plane. What is the cost of a typical nondestructive scanner or system? There is no simple answer to this question. 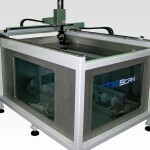 At TecScan, we specialize in custom Nondestructive Ultrasonic, Phased Array and Eddy Current solutions; therefore the cost will vary greatly according to your needs and specifications. 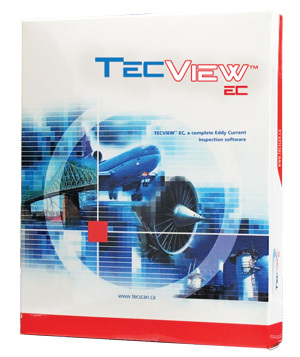 Also TecScan designs and manufactures a complete line of scanners, which also vary in price. If you require a cost evaluation for you NDT scanner, please feel free to contact us.